There are moments in all of our lives when we fervently wonder, “How did I get here?” The events of that moment are dramatically different from where we believed that life would take us. If 15 years earlier we could have magically been shown how our lives would turn out we might have mistaken it for a movie of someone else’s life. My life presents me with many moments that cause me to ask, “How’d I get here?” Sometimes those moments are good and sometimes they are bad, but they are all equally outside of my life expectations. As you can see it was a special day with excellent weather. There were thousands of men, women and their children attending this annual event. They like Kathy and me were there eager to honor men and women buried at Arlington who had honorably served our country in war and in peace. 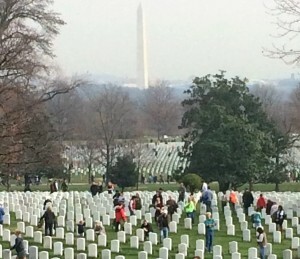 I have no idea as to how many of our fellow citizens who stood dutifully in line behind a legion of trucks full of wreaths were there to honor a loved one buried at Arlington and how many were simply there to honor strangers. Kathy and I were there to honor loved ones and strangers alike. It was a bittersweet day for us . We had only recently been to the cemetery to lay to rest Kathy’s mom, Helen. She was buried with her beloved husband, Eng, who was an ordained Lutheran (ECLA) Pastor. The grave site is located on one of the most beautiful places in Arlington Cemetery, Chaplain’s Hill. The view from Chaplain’s Hill is back down Memorial Bridge directly into the Lincoln Memorial and most of the City of Washington, D.C. 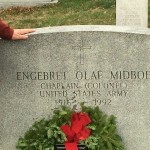 I never met Colonel Midboe, but Kathy assures me that he heard an early “call” not only to be a Pastor, but to do so as a military chaplain. I have always wondered if “the call” was God letting certain individuals in on their destiny. Wish I could ask Pastor Midboe. 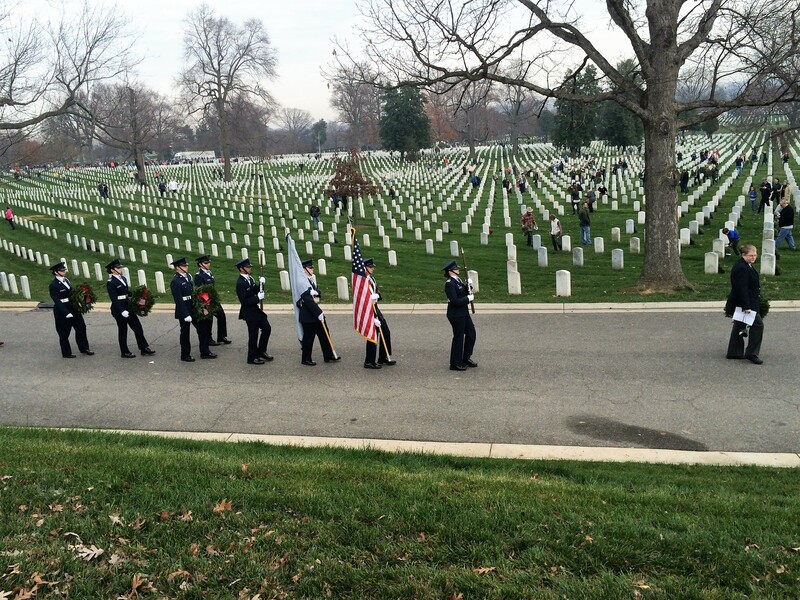 We laid our wreaths on the graves of strangers and family alike with a solemn “thank you” and a hand salute. The sights of the Cemetery with the decorated graves were beautiful and the event was truly humbling. It gives comfort to those whose family and friends were buried there that the service of our fallen heroes will not be forgotten. Toward the end of the day, I looked across row after row of white grave stones now decorated with our wreaths that remembered the fallen and paused to wonder. Many of those who rested there beneath these stones fell in the prime of their lives with loving spouses and children left to mourn and wonder why. Some would say its God’s will and we should not question His motives. Others might blame the arrogance and ignorance of world leaders who refuse to or fail to avoid conflicts that lead to the spilling of the blood of their young people on battle fields. I have no idea whether it is one of these explanations or some other. Call it fate, call it the folly of men that led us all to spend a day together at Arlington Cemetery together on Wreath Laying Day. I suspect my fate is to join together with them again next year when yet more will have joined their ranks. My prayer is that those new additions to the field will have joined us because of old age and a life well lived and not from death on a battlefield. 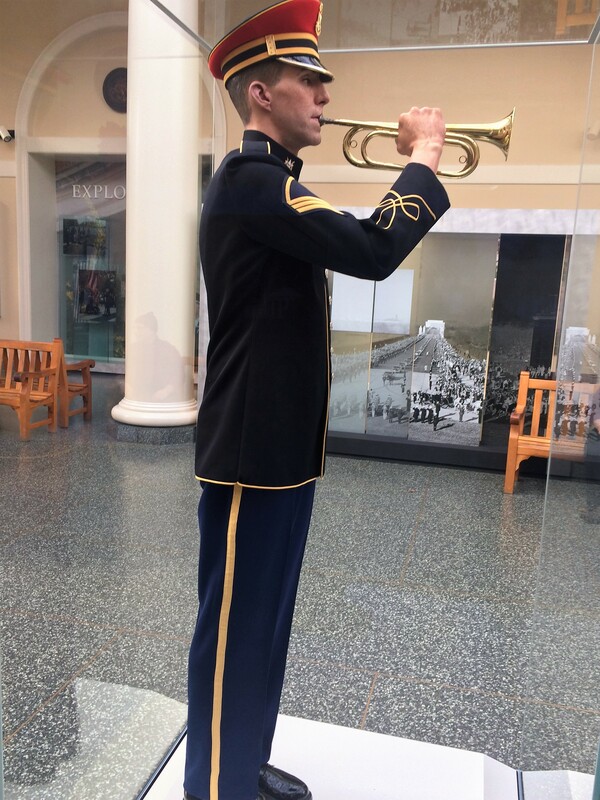 There are services like the one in Arlington Cemetery at other Federal Military Cemeteries throughout the country. 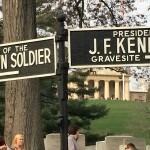 The website www.wreathsacrossamerica.org provides information on this day of honor and how you can participate. I don’t think you will regret it. I am fascinated by the concept of predestination. Was I predestined to write about it or did my free will lead me to this post? I don’t pretend to be an expert about this staggeringly difficult concept, but it won’t stop me from thinking out loud about it. If you have the answer to the question please enlighten me. I’m doubt your answer will make any sense to my finite mind, but it shouldn’t stop us from having the fun of trying to answer this paradox. This site is not intended to be a religious blog. I intend to talk about interesting historical characters, places and events. Questions related to predestination and history are perfectly related. I explored some of these questions in my recent novel Morgan’s Point. The book can be found on Amazon/Kindle as an eBook. It seem to me there would little point to an existence that is devoid of free will. Assume with me that there is an omnipotent power that I will call God for simplicity. Omnipotence and human free will seem to be in conflict. An omnipotent God must give up sovereignty to humans if free will is to play a role in our lives. I doubt that most of us would understand a God that set out to plan the mess that we call human history. Yet, if you read the Bible there are numerous references to just such an idea. Predestination seems like an easy out to blame God for anything wrong we do. Did God know that Adam and Even would disobey him before they ate the apple? If God didn’t know, then just how omnipotent is He? I will offer some issues I see in Bible verse in future posts. In the mean time I look forward to your thoughts about all of this.